Pokémaniacs from around the world will descend upon San Francisco, California to attend the 2016 Pokémon World Championships. Players have tested their limits during various semi-final tournaments but it all comes down to this. The event takes place from August 19 to August 21 at the San Francisco Marriott Marquis Hotel. Watch all the action live on the official streaming site as competitors go for the top prize in their respective divisions. Handheld Pokémon games, the trading card game, and Pokkén Tournament will all crown champions on the final day of the weekend. There are even huge cash prizes and goodies for winners. Fans can attend the event to catch the competition and partake in various other activities. 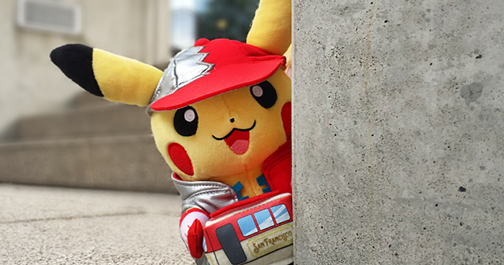 Also, say hello to a brand new Pikachu doll modeled after the city of San Francisco. View the official championships website to check for even more information.